HighStreet Collective built this year’s Digital Experience Forum at the Digital Signage Expo, a day-long program, titled “Digital Experience Forum: Winning with DX – A Summit For Future Success.” The program is built around a curated set of speakers and topics from some of seasoned digital experience practitioners. 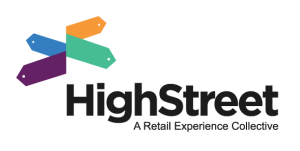 HighStreet Collective’s approach turns this year’s Forum to a comprehensive focus on the customer experience and the digital experiences that exist within. Attendees will walk away with insider knowledge and ideas to drive innovation through digital experiences, as well as a fresh perspective on how to speak the language of the chief marketing officers that have become the true decision makers. As HighStreet Collective Co-Founder Laura Davis-Taylor explains, the customer experience represents a very broad ecosystem of design and innovation to drive consumer engagement. While digital experiences such as digital signage are an integral part of that ecosystem, she notes the time has long passed to look beyond hardware and software, and toward a grander vision that will drive consumer engagement — and new business. The Forum, which takes place March 27 at the Las Vegas Convention Center (Room S225), kicks off at 8am with a keynote presentation from Phillip Raub, President of b8ta. Phillip’s presentation, “Meet Your New Client: The CMO,” will address what senior brand leadership is seeking when screening new customer-facing technologies; and how to pivot your pitch to win with marketing language versus technology talk.